Sa February 29 na po mga Kapamilya! mamaya na ang FULL TRAILER! hi Billy! kumusta? anong nangyari sa ABS-CBN forums? Interesting concept na sinugalan na ang pang best friend ang mga ginanawang bida for a change - Pokwang and Melai. First serye ba ito ni Beatriz? This is not Beatriz Saw's first appearance in a series -- mas malaki lang role niya dito. 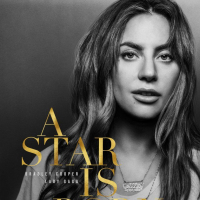 WE WILL SURVIVE- 18 Ads with 3 Gaps and 1 Regional Ad. Viewers instantly got hooked on the feel-good story of We Will Survive, topbilled by comediennes Pokwang and Melai Cantiveros, which debuted last Monday (Feb 29). Its pilot episode recorded a national TV rating of 16.7%, higher than that of its rival program Wowowin (14.4%), according to data from Kantar Media. We Will Survive shows the beauty of friendship as Wilma (Pokwang) and Maricel (Melai) buoy each other up when they experience heartbreak. Also adding to the fun are Sheila (Regine Angeles) and Ana (Bea Saw). The pilot episode of the primetime series also received praises online as the shows official hashtag [#]WWSFromTheStart[/#] trended on Twitter. 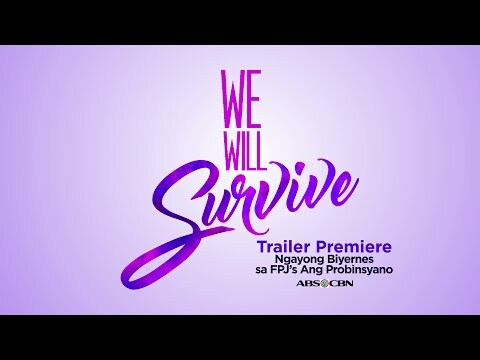 SKYcable postpaid subscribers can catch-up on all the latest episodes of We Will Survive for free through SKY on Demand, the video-on-demand service exclusively available to SKY subscribers. Go to www.skyondemand.com.ph to watch on your laptops and PC or download the app via The App Store or Google Play to watch on mobile. Dont miss the Wilma and Maricels story of friendship in We Will Survive, weeknights before TV Patrol. For updated follow @wewillsurviveTV on Twitter and Instagram. Parang nakukulangan ako sa funny moments/scenes. I like it. Light ang mga scenes, feel good teleserye. Walang masyadong antagonist (or masyado pang maaga para mag-conclude) at para lang BCWMH. Alam naman natin na komikera sina Pokwang and Melai but i dont expect a hilarious scenes. Subtle. Simple.